Facebook is again increasing its user base in Europe and North America and showing record earnings — proof that, despite privacy concerns, it can still mint money. After two quarters that saw users shrink in Europe and plateau in North America, the tech giant improved on both those numbers in its latest earnings report. In the period from October to December, it added 4 million daily users in Europe, for a total of 282 million, and 1 million in the U.S. and Canada, to 182 million. “The biggest surprise for me was Europe — we saw the declines in [daily active users] in 2018, and in the fourth quarter, Facebook actually managed to reverse that,” said Debra Aho Williamson, principal analyst at eMarketer. “There have been so many questions about people’s engagement with Facebook, and with these numbers, you don’t see that trend,” she added. More important for Wall Street, Facebook handily beat revenue expectations, showing it can still make money despite negative public perceptions. Revenue increased 30 percent to $16.9 billion, beating expectations of $16.4 billion. 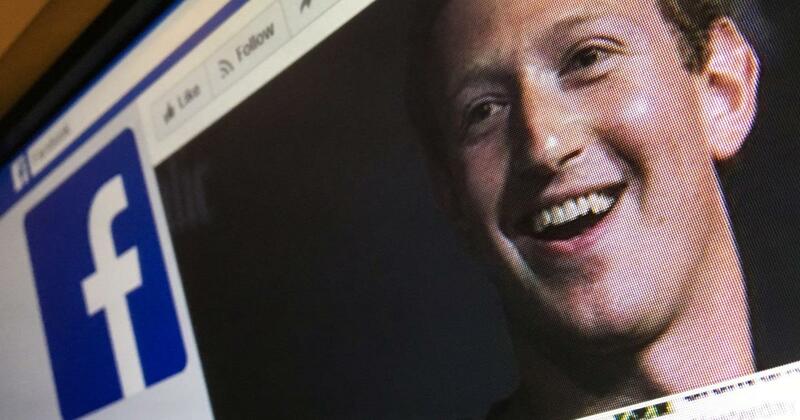 Facebook made a record profit of $6.9 billion, a jump of 61 percent from the year before. Facebook’s stock is up around 11 percent after-hours trading on Wednesday as a result. The vast majority of the money, as is typical, came from advertising. “Facebook and Google have a massive volume of users, which no other platform at this point can offer to advertisers. That is so unique and so powerful that, even when you have these controversies about privacy and data leakages, people who want to advertise only want to look at Facebook,” said Haris Anwar, senior analyst at Investing.com. Facebook CEO Mark Zuckerberg praised the company’s work on protecting elections and weeding out clickbait content, signaling that he was shifting his attention back to expanding the company’s products and reach. He said later on the call: “If you think about the journey the company’s had the last few years, it’s moving from being reactive … to now, increasingly, we’re building AI systems and now having tens of thousands of people proactively review content.” He noted that “99 percent” of content from ISIS and Al Qaeda are removed by Facebook’s automated systems. Earlier this week, Facebook announced it was hiring an oversight board to make decisions about the content posted on its platform. The company has grappled with data leaks and accusations of fleecing children and trampling over users’ privacy concerns. On Wednesday, Apple accused Facebook of violating its terms after the social-media giant was revealed to have distributed an app that paid users, including teenagers, to extensively track their phone and web use. Last year the company rolled out a tool to track political advertising on the platform, but it has been criticized for blocking some nonpolitical ads and failing to catch others.